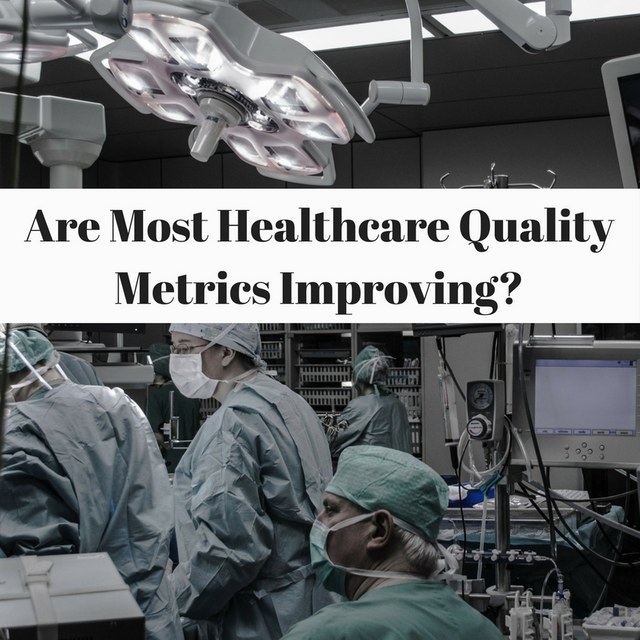 Are Most Healthcare Quality Metrics Improving? You know me...I love to celebrate when we're doing something better in healthcare. Whether it's a process measure or an outcomes measure, one thing is for sure: when we are meaningfully doing better in healthcare we can often say we are helping our patients. ...but that's the wrinkle in the whole thing: that one pesky word "meaningfully". It's not so easy to really know when we are doing better or worse sometimes. Sure, some things are obvious like whether we are decreasing wasted motion in a process or something along those lines. But not everything is so straightforward. Sometimes we feel like we are doing better, but statistical testing says we really aren't better off at all. I see the "premature pizza party" syndrome a lot, where a system rewards a healthcare quality project with a pizza party (sometimes I wonder why that seems to be the go-to move!) and yet in reality the system is probably just as good (or bad) as it was before the project. And you can see that when you really do the statistical testing. Anyhow, in my never-ending hunt to know if we are really doing better or worse I bring you this: the Agency for Healthcare Research and Quality's yearly report. Of course, this is the report from 2016 (they publish the 2016 report in 2017 of course)...and it's based on data through 2014. And, oh darn, looks like it nicely summarizes that we were making some progress on most quality measures...as of three years ago. But this is 2017, and whether the ACA is ever repealed or no, life under it will look different depending on how (and whether) it is fully enforced etc. etc. So, bottom line: through 2014 it looked like we were making progress on the majority of healthcare quality indices...but the future, I think, is uncertain. Let's continue the hunt for whether we have made meaningful improvement by using standard, validated quality tools in our own healthcare systems. Even though the reports lag years behind, it's the right move for patients. Maybe we'll finally know when we can celebrate and sustain meaningful improvement.